Tagami's coal terminal would be next to the Port of Oakland. An Oakland front company owned by the coal mining firm working with developer Phil Tagami to establish an export terminal on the city's waterfront has dissolved and been replaced with a new entity featuring some of the same key players. The new firm, Internal Logistics Solutions, has signed an exclusive option agreement with the Tagami-led partnership California Commercial & Investment Group to be the operator of the Oakland Bulk and Oversized Terminal (OBOT) on a portion of the former Oakland Army Base, which the city owns. Internal Logistics Solutions' website says the company is "exploring potential customers and operations as it considers whether to exercise the option," and it could transport various commodities, including coal. The company was incorporated on Sept. 12 by John J. Siegel Jr. of Kentucky, founder and former chairman of Bowie Resources Partners, the coal company that has helped bankroll Tagami's lawsuit seeking to overturn Oakland's ban on the storage and handling of coal in the city. Siegel resigned from Bowie in March "to pursue other coal related opportunities," according to a Bowie statement. Siegel was also the one who signed a 2014 option contract with Tagami's company to enable Bowie-owned Terminal Logistics Solutions of Oakland to potentially lease and operate the export terminal, which would be next to Interstate 80 just east of the Bay Bridge. Bowie dissolved the old company on Sept. 14. This month, Bowie also changed its own name to Wolverine Fuels LLC amid continuing financial challenges and following a series of notable setbacks. 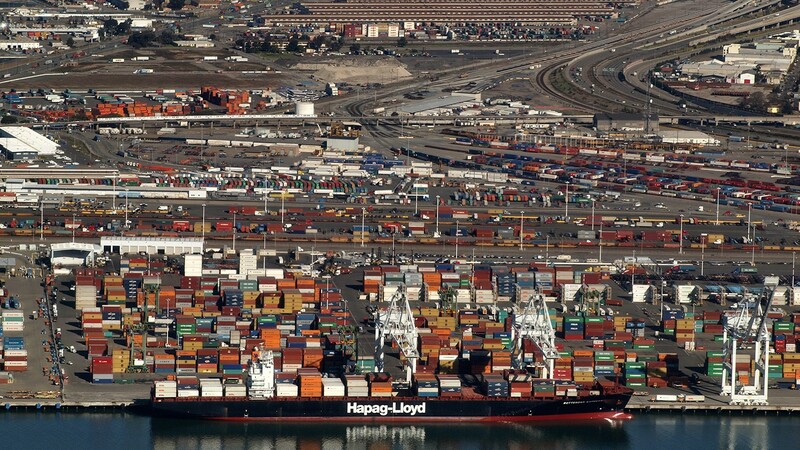 Critics had alleged that Terminal Logistics Solutions was a cynical ploy by Tagami and Bowie because it fielded two former Port of Oakland directors, Jerry Bridges and Omar Benjamin, as frontmen, while actually being owned by Bowie. The company's office was in Tagami's Rotunda building. Bridges and Benjamin are also listed as leaders of the new company, as president and CEO and vice president, respectively. Calls to Benjamin and Wolverine were not returned. David Smith, a lawyer representing CCIG, confirmed that Internal Terminal Solutions had become the new potential tenant at OBOT. Smith called the situation "largely status quo," noting that similar people are involved, particularly Siegel. He said he did not know whether the new company was owned or controlled by Wolverine. Terminal Logistics Solutions was created in November 2014 as part of a plan to get a $53 million loan from four Utah counties to help build an Oakland terminal for sending coal to Asia. That plan became public via a small Utah newspaper in 2015, leading to an uproar and the Oakland City Council in 2016 passing a ban on the transportation and handling of coal. Tagami, with major financial backing from Bowie, subsequently sued Oakland seeking to prevent the application of a ban on their project. A federal judge in May sided with Tagami, ruling that the city violated his 2013 development contract, which made no mention of coal. The judge said the city did not demonstrate sufficient health and safety threats to allow it to break the contract. The city has appealed the judge's decision. In another recent development, Tagami and his business partner Mark McClure filed a claim against the city on Oct. 19 alleging that Oakland continues to obstruct the construction of the coal terminal. "The [c]ity is taking affirmative actions and refusing to honor its obligations under governing agreements that will, unless brought to legal account and forced to specifically abide by the terms of those agreements, like cause the fatal demise of the [p]roject," Smith wrote in a claim filed with the Oakland City Attorney's Office. According to the claim, Tagami's company has already spent $26 million on the project over the past 10 years, an investment that the city has jeopardized. "It's about getting the project back on-track," Smith said of the coal terminal. "We're not interested in filing another suit or fighting more with the city." While the city and OBOT's attorneys have been in contact, Smith said, "Oakland has not directly responded to the allegations laid out in the [claim] letter." According to Smith, Tagami and McClure felt that the claim might put an end to further interference by the city that's stopping the coal terminal project. Like its predecessor, Insight Terminal Solutions says it will use covered train cars that will unload products into "environmentally friendly" covered structures fitted with air filtration systems. The now dissolved Terminal Logistics Solutions had promised similar environmental controls, but environmentalists and city officials argued those measures could not obviate the threat of coal dust and other pollutants harming nearby residents, particularly in West Oakland, where impoverished neighborhoods are already disproportionately impacted by pollution. Oakland officials alleged in court documents that Tagami's firm and others deceptively cooked up the Terminal Logistics Solutions coal plan in secret, despite Tagami allegedly verbally promising city officials he would not pursue coal, and Tagami assuring the public in a late 2013 newsletter that he was not interested in coal. Tagami has denied being misleading, saying circumstances changed. The controversial Utah financing plan was withdrawn by the counties in 2016, but the Utah state Legislature set up another potential funding mechanism, and it could be revived. The plan also called for raising some $200 million of private investment, something skeptics have alleged will be difficult given the grim outlook for the U.S. coal industry, though there has been a modest uptick in exports this year. Bowie and other coal interests have been looking to Asian exports to shore up earnings as U.S. power plants have switched to other kinds of fuels and domestic consumption has declined. Bowie is not alone in facing major fiscal challenges. In July, it announced the appointment of a new CEO, the departure of various top executives, and another injection of $13.4 million from its majority private equity owner, an affiliate of Trafigura Pte Ltd, a major global commodity trading firm. Darwin BondGraham and Daniel Lempres contributed to this report. Salwa Ibrahim, co-founder of Oakland's Blüm marijuana dispensary, dreams of creating unimaginable products for California's burgeoning legal weed market.